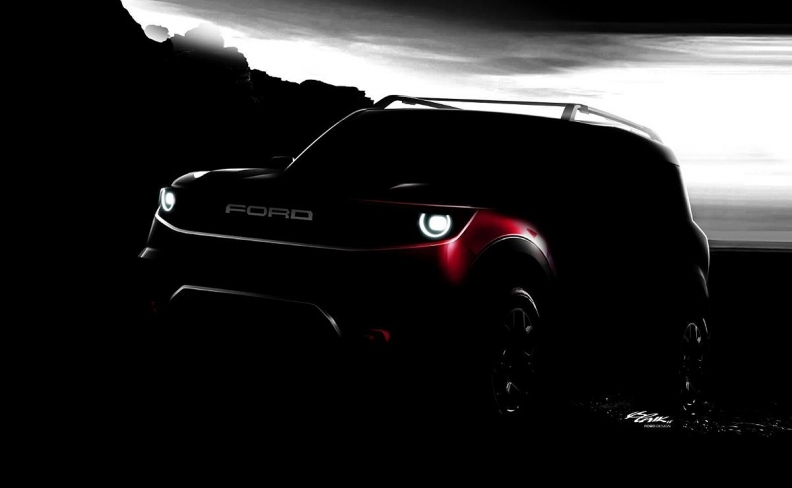 Ford plans to introduce a small off-road SUV as part of a plan to replace 75 percent of its North American lineup by 2020. The company has not given the vehicle a name yet. DETROIT -- Ford Motor says it aims to supplant Toyota as the top seller of hybrid vehicles in the U.S. in three years as part of a dramatic reshaping of its lineup to focus heavily on utility vehicles and pickups. The automaker plans to add two off-road SUVs and create hybrid or electric versions of its other utilities with the expectation that light trucks will account for nearly seven out of every eight vehicles it sells in 2020. The automaker on Thursday said it would replace more than 75 percent of its North American lineup and add four nameplates within the next two years. It said the product blitz would reduce the average age of its fleet to 3.3 years from 5.7, giving it the industry's freshest lineup among full-line automakers. By 2020, Ford expects pickups, utilities and vans to be 86 percent of its sales, up from about 70 percent today. It will have eight utilities in North America, up from six today. Ford plans to offer a hybrid variant -- either a traditional hybrid, a plug-in hybrid or both -- on every new utility it adds or redesigns moving forward. The automaker expects to overtake Toyota in hybrid sales by 2021. Ford is currently No. 2. "We're moving past hybrids as a science project," Jim Farley, Ford's president of global markets, told reporters during an event at the automaker's product development center. "They're an accepted, reliable technology, and we want to make them as emotional and valuable as the desirable EcoBoost." The announcements followed months of pressure by analysts and investors who have asked for more concrete proof of Ford's plans to cut costs and transform its business. Wall Street and industry observers in recent months have criticized Ford as having an outdated product portfolio that, outside of the F series and Mustang, relies too heavily on low-margin cars and older SUVs. 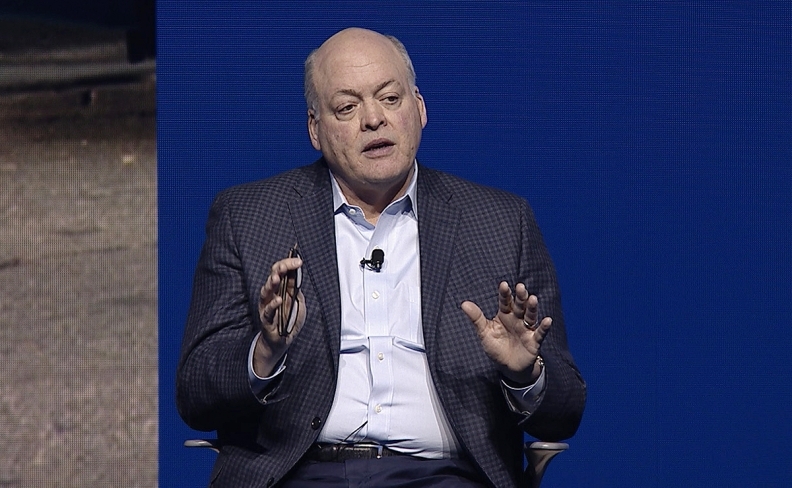 "Our passion for great vehicles is stronger than ever," Ford CEO Jim Hackett said in a statement. "This showroom transformation will thrill customers, drive profitable growth and further build toward our future of smart vehicles for a smart world." Ford's new utility offerings will fall into one of two categories: performance-oriented or off-road. Hackett: "This showroom transformation will thrill customers, drive profitable growth and further build toward our future of smart vehicles for a smart world." "Where we compete is what you're seeing Ford bet on," Farley said. "We don't just want to be in the generic SUV business. We want to be either in the performance or in the high-speed, off-road business." That means an expansion of the Ford Performance ST badge, which Ford has already announced for the freshened Edge coming this year. There will also be an Explorer ST, Farley said Thursday. He also said Ford will offer a "lineup of off-road SUVs," including a small, purpose-built SUV and the Bronco, which is arriving in 2020. Farley said Ford was looking to target brands such as Jeep and Land Rover but with a different customer in mind. "Both of these vehicles are for a growing group of people who want to simplify their life and get out there with their family and friends," he said. "For Jeep, that's rock-crawling in Moab. For Ford, our people want true off-road vehicles that are comfortable at high speeds. They don't want SUVs that look like doomsday vehicles or have spartan, government-issued interiors." Additionally, Farley said Lincoln plans to offer two SUVs by 2020, including the Explorer-based Aviator. He said the luxury brand will add four utilities after 2020 but declined to go into specifics. In addition to off-road SUVs, Ford has said it plans to unveil a Mustang-inspired battery-electric SUV, tentatively referred to as the Mach 1. "That vehicle is going to be famous without having to shoot it up in space," Farley said, in a reference to Elon Musk's stunt that launched a Tesla Roadster via a SpaceX rocket last month. Ford is working to make its vehicle-building process more efficient. It expects to achieve $4 billion in engineering efficiencies over the next five years. Among those efficiencies, it's reducing by 20 percent the time it takes a vehicle to go from a sketch to the showroom, and it's improving its plant changeover time by 25 percent. Moving forward, Ford said it plans to build its vehicles off five flexible, modular architectures. They are: front-wheel-drive unibody; rear-wheel-drive unibody; commercial unibody; body-on-frame; and battery electric. Ford also will significantly reduce the number of combinations available for order. For example, Joe Hinrichs, Ford's president of global operations, said there will be just two or three different moonroofs instead of today's seven. Roughly 80 percent of Ford vehicles are built using only 10 to 20 percent of combinations, he said. "Every action we now take is driven by what will serve our customers in a way that supports our business priorities," Hinrichs said. Ford shares rose 0.45 percent to close at $11.07 on Thursday. Ford also plans to offer more standard driver-assistance technology. It has rolled out a number of features over the years, but now plans to package five of them together under a new name: Ford Co-Pilot360. That includes automatic emergency braking, blind spot monitor, backup camera, lane keep assist and auto high beams.